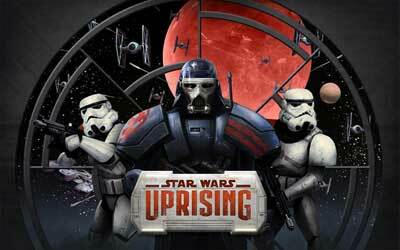 This is old version Star Wars™: Uprising 3.0.0 apk for Android, you can install it if you want to downgrade or install old app. It is top Role Playing apps from Kabam. This game has an incredible character that cannot be replaced with the other characters that are exist in the predecessor of this game. As one of the real time multiplayer game, you will feel the impressive sensation of online gaming through your mobile phone screen. There are many things you can enjoy through the presence of this game. The first attempt that you need to achieve is to unlock the power of light and dark sides from the Force. All you need to do is to look for the path of Galaxy ultimate weapon which is called as light saber. Then, you will also need to create the hero that is needed by the galaxy. You can adjust the performance of the fighter starts from the species, ability and many other accessories that can improve the performance of the character. Star Wars™: Uprising for android offer complicated gameplay with simple appearance so it will boost the experience of gaming. Lando Calrissian has arrived! Seek him out in the Longstar Marketplace on Burnin Konn. New Raids! Prepare for the Uprising’s hardest missions yet! New Gear! Gear from Raids can go up to 9 stars! New currencies have been added for Raids and Lando Calrissian’s quests. Components can now be stacked and mass upgraded. Crews can now be auto-filled for Crew Runs.